The holidays are almost here! For designers and creatives Christmas is not only a time of year for giving back and spending time with loved ones, but also an opportunity to pick up some extra design projects for the holidays! We hope this variety of resources we’ve picked out will help you with any designs you create this season!Free Christmas Vectors for Your Festive Designs:Save money on your Christmas designs by helping yourself to these great free festive vector shapes. 25 Christmas Inspired Free Fonts:A nice collection of 25 free fonts just perfect for those Christmas themed designs you might be working on. 500 Christmas Photoshop Brushes and other Resources for Holiday Designs:An extensive collection of Photoshop Brushes for any holiday themed project imaginable! 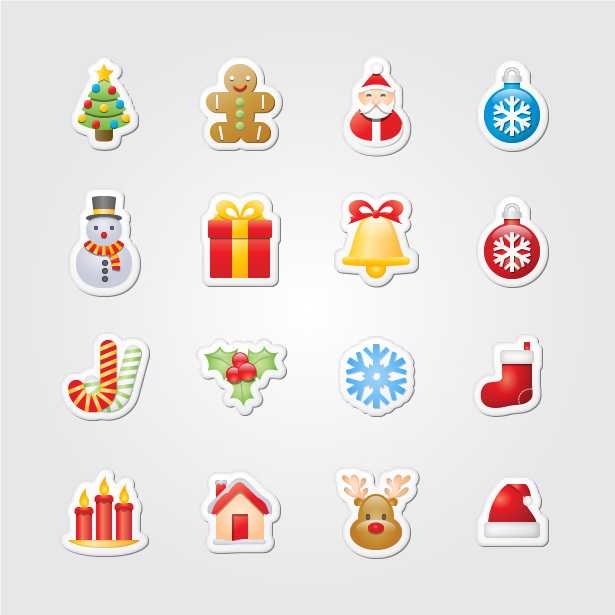 Exclusive Icons for the Holidays: “Xmas Stickers”:“Xmas Stickers” is an exclusive set of holiday icons, brought to you by Webdesigner Depot. Free Christmas Themed Sketchy Vector Graphics Pack:This set of sketchy doodles includes snowmen, reindeer, penguins, robins and good old Santa. Download them in both AI and EPS file formats for use in your Christmas related designs. Free Vector Christmas Backgrounds and Titles from Vector Jungle:Everything you need for all of your holiday scrapbooking and invitation needs. Turn your love of graphic design into a career at Platt College San Diego.